Sesame oil is a kind of edible oil derived from sesame seeds. It is mainly used as a flavor enhancer in China, Korea, Japan, Middle East and Southeast Asia for cuisine, and also cooking oil in South India. Sesame seed contains 54% of oil, while the oil extraction rate is 45-50%. Sesame oil has excellent quality, rich nutrition, and pure flavor. It contains high linoleic acid, which is goot to soften blood vessels and prevent diseases caused by angiosclerosis. At the same time, sesame oil contains antioxidants like sesamol, semamolin, etc. that make sesame oil durable to store and hard to deteriorate. In China and some other countries, sesame oil is mainly pressed. 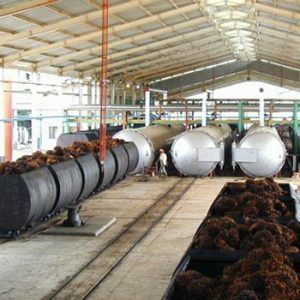 The process include cleaning, softening, flaking, steam cooking, pressing, and then pressed crude sesame oil is filtered into pure sesame oil. 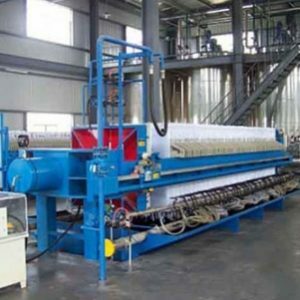 Sesame cleaning: the purpose is to remove clay, sand, iron scrap, weed seed, immature sesame seeds, etc. Then rinse it to get rid of side by side mud, tiny impurities and dust. Softening: by adjusting moisture and temperature, sesame seed is softened to have proper plasticity, which is easy to be flaked into thin pieces. After softening, sesame temperature is 47-50℃, and moisture 7%. To cohere: after flaking, 68-79% of sesame seed cells are destroyed, but the oil is still dispersive oil drops and is unnable to cohere. But if you add water first to dampen the sesame seeds before steam cooking, protein will absorb water and expand, so the cell wall is destroyed from inside, which completely destroy the seed cells. To adjust the flakes structure: flake structure refers to its plasticity and elasticity. On one hand, flakes shall have enough elasticity to withstand pressure; on the other hand, they shall have certain plasticity so that they can combine into cakes after pressing. Adding water and increasing temperature can soften flakes and make them easy to take shape. But if the water content is too low, protein will have big degeneration, and the flakes will be hard and not easy to form cakes. 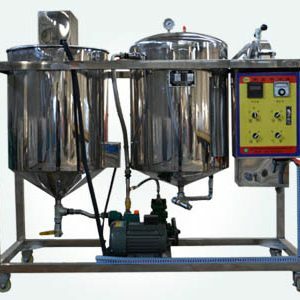 So to adjust all technical parameters in steam cooking process can achieve hardness of flakes required by oil pressing. 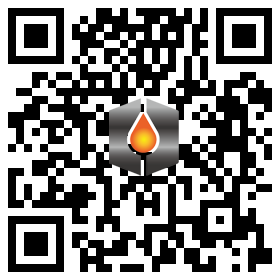 To improve oil quality: in the steam cooking process there are some physical, chemical and biological reactions. 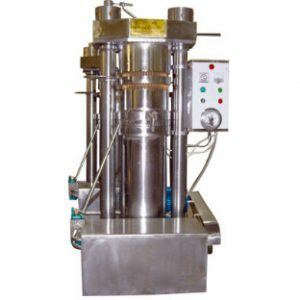 Sesame oil pressing: the working principle of screw oil press: screw oil press uses the rotating spiral shaft to continuously press the flakes from the inlet into the barrel. Every rotation of the screw shaft will push the materials forward. 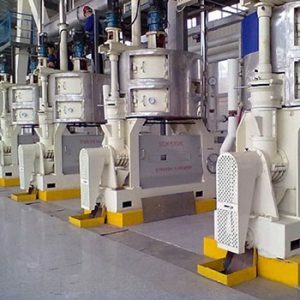 At the same time, with the gradual shortening of pitch or the gradual reduction of screw thread depth, the space volume in barrel is gradually condensed, and oil is pressed out. 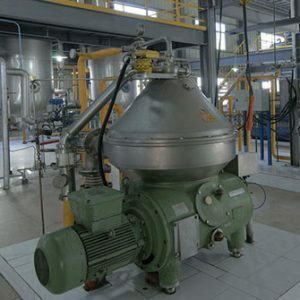 This kind of oil making process is automatic and continuous, and the oil constantly flows from the gaps in pressing cage; while the flakes after pressing form tile shape cakes and constantly discharged from the other end of the screw oil press. 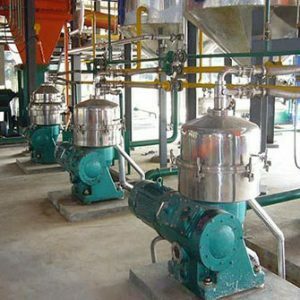 In total, the pressing of sesame seed oil is divided into 3 phases: pres-pressing phase, pressing phase and cakes forming phase. 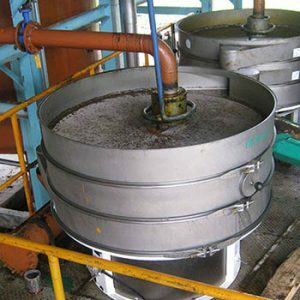 Sesame oil filtering: after all the avove steps, sesame oil is made but also may contain impurties. In this case, it shall be filtered to get pure sesame oil.